Stephen Hawking, physicist and author of “A Brief History of Time” who shaped modern cosmology has died at age 76. His family released his death statement in the early hours of this morning at his home in Cambridge. 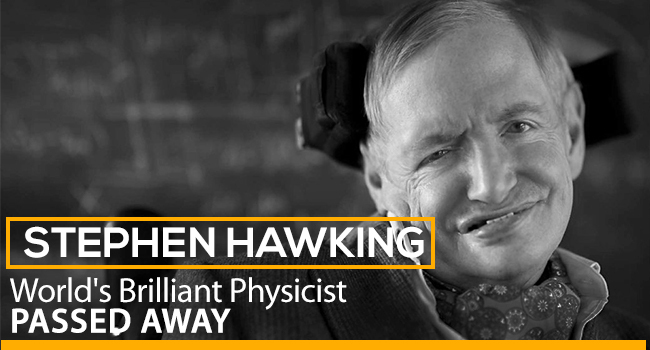 Stephen Hawking was an extraordinary man and a great scientist whose legacy and work will stay with us forever.